How great is this! 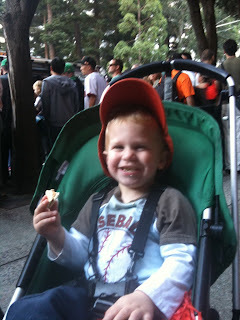 That little guy had a great time! Good for him. He got to go to the parade! 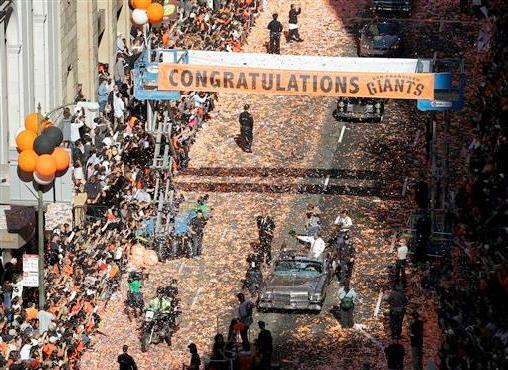 A Giants parade and peanut butter and crackers, it doesn't get any better. Way to go Giants and James Raz.